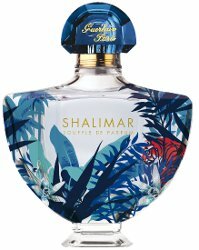 From Guerlain, a collector edition of Shalimar Souffle de Parfum, paying homage to the flora and fauna of the Shalimar Gardens. 50 ml for €99 at Guerlain in France. Also from Guerlain, a new edition of Habit Rouge Dress Code, done up in red and black camo. 100 ml for €110. 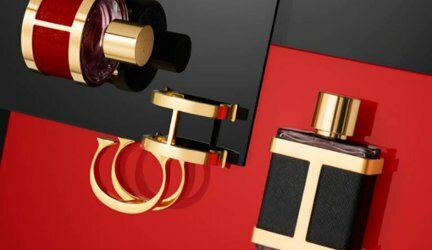 Also from Carolina Herrera, the Insignia editions of CH and CH Men, which feature both fancier packaging (based on the Insignia line of handbags and bracelets), and reportedly fancier juice. Directed at the Middle East and available at Dubai Duty Free in 100 ml. 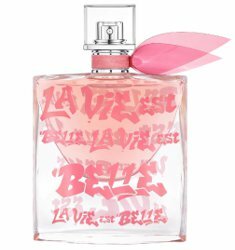 From Lancôme, the Lady Pink Happiness (aka Arty) edition of La Vie Est Belle, decorated by American street artist Lady Pink. 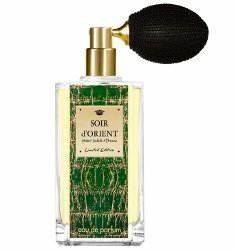 Available at Marionnaud in France in 50 ml. From Sisley, Soir d'Orient Wild Edition: "Sisley has derived a unique edition of its Soir d'Orient Eau de Parfum exclusively for Harrods with an opulent crocodile-effect bottle. Spicy notes of black pepper are complemented by heady sandalwood, with Egyptian geranium injecting a touch of floral intensity rounded off by the warmth of patchouli." At Harrods, £230 for 100 ml Eau de Parfum. 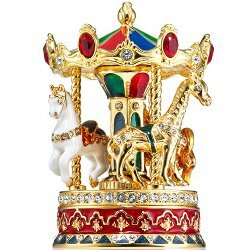 One more solid compact from Estee Lauder (you can see the rest in part 6): the Beautiful Carousel Perfume Compact. "This whimsical solid perfume compact evokes the memories and wonder of childhood. Intricately designed, exquisitely crafted, the limited edition compact is filled with solid perfume to touch onto pulse points." $450 at Neiman Marcus. That Carousel is Beautiful, pun intended. But seriously, it is lemming-worthy except for the price. I don’t get why it’s so much more than the others…and would still rather have the bunny in the teacups. I really like the Guerlain bottles. I think that Shalimar is fantastic.